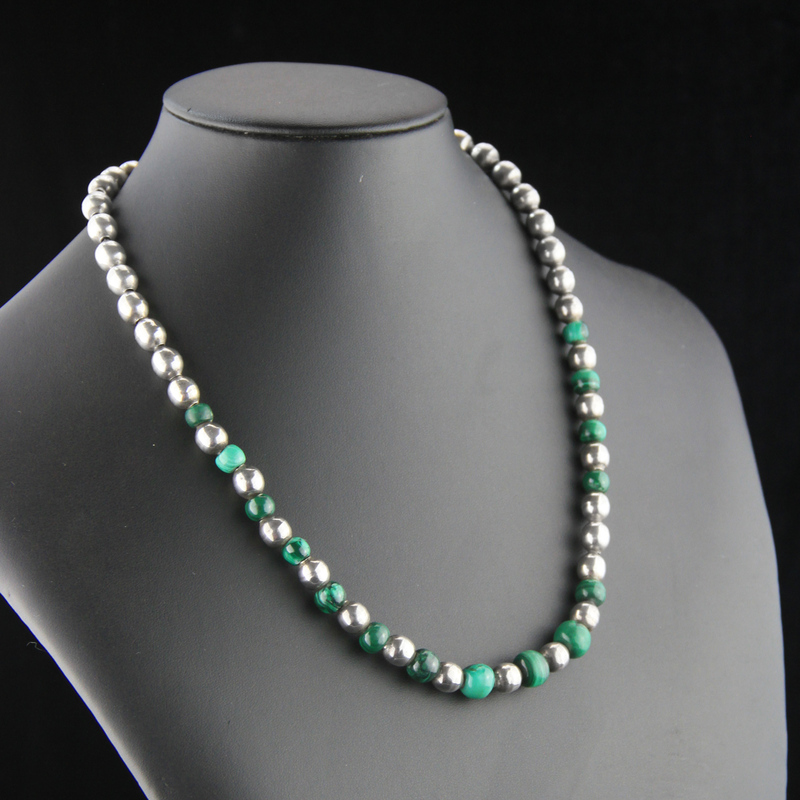 Fantastic, long sterling silver malachite necklace. 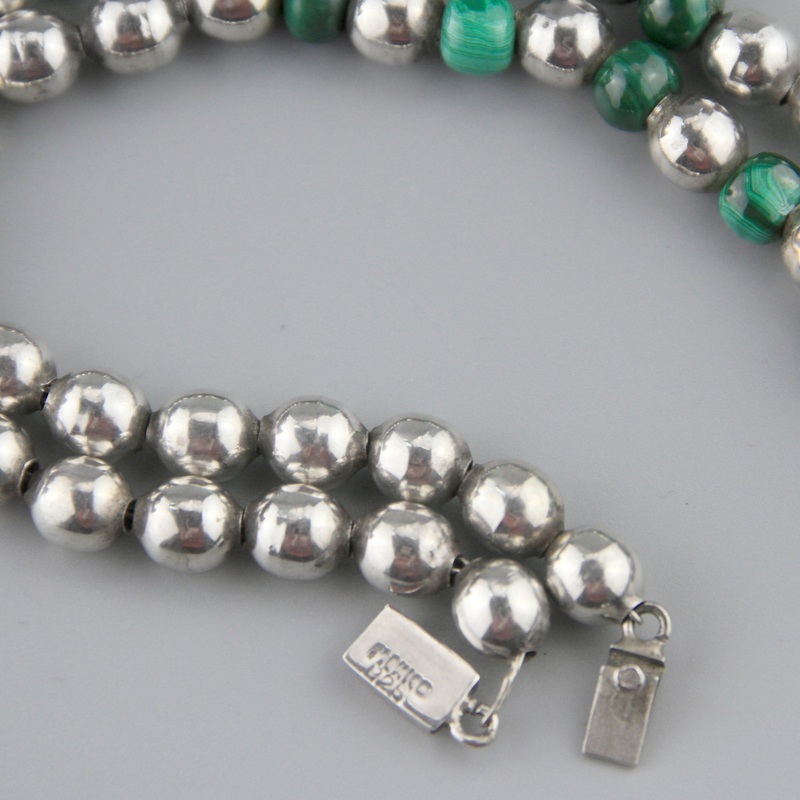 Handcrafted in Taxco, Mexico, circa 1980. 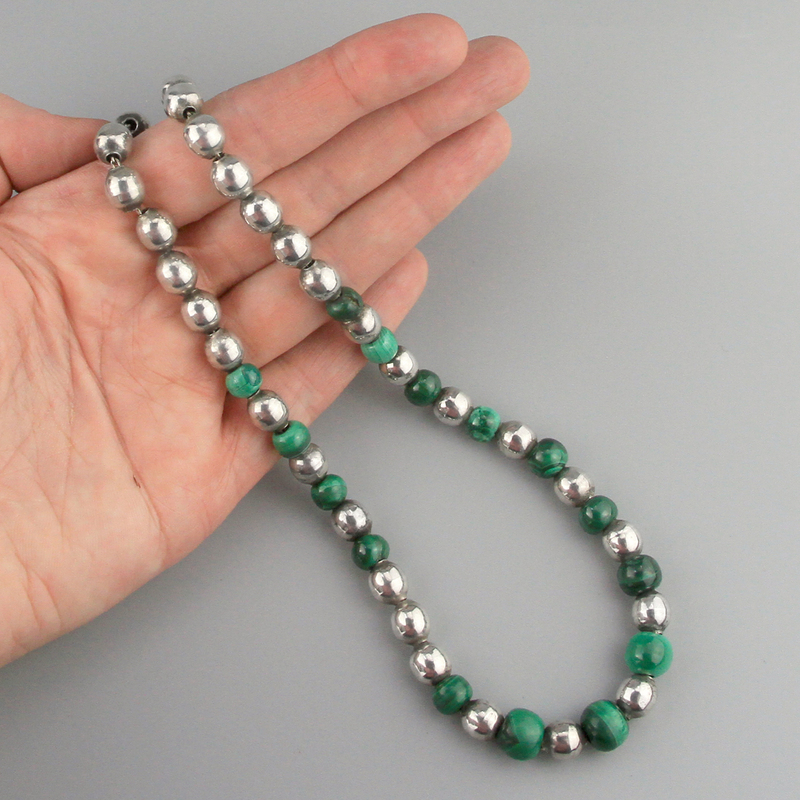 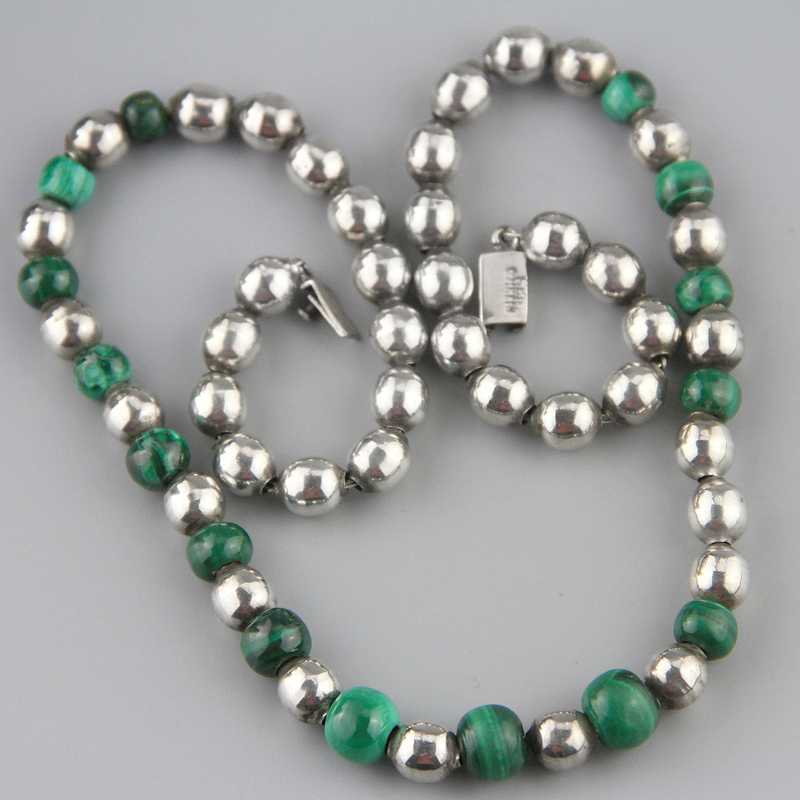 Hollowware sterling silver beads separated by smooth polished malachite beads graduated silver beads. 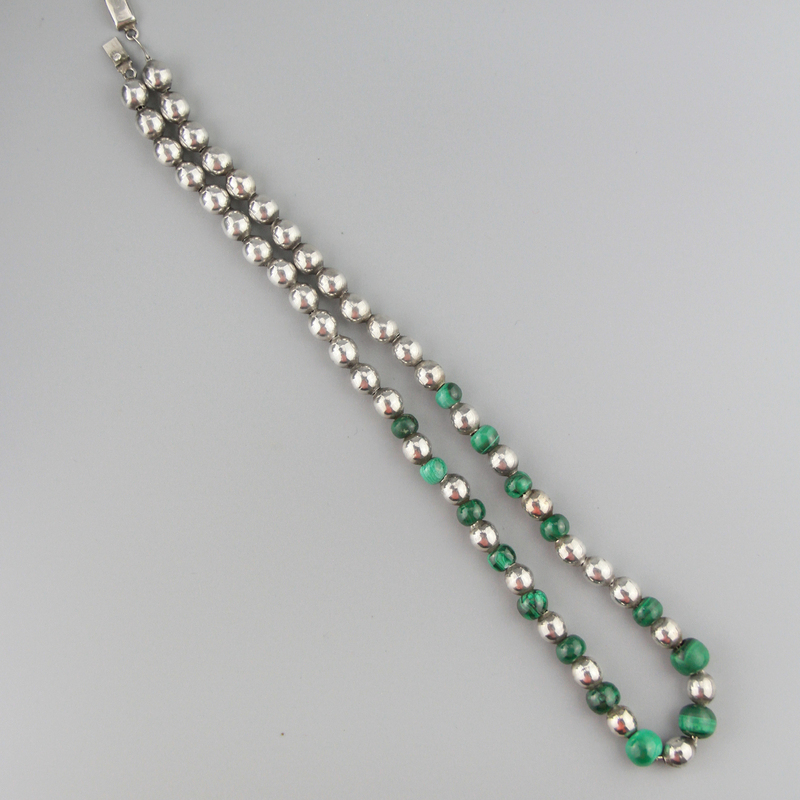 Secure tab clasp, closes with a crisp click, fantastic length on a sterling chain, great quality necklace, beads feel lovely and smooth.